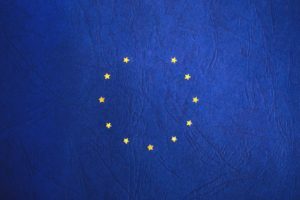 UK blue chips looked past Brexit helped by the EU’s flexibility in extending the deadline. However the intractability of securing support for the EU Withdrawal Bill has led to concern the UK will crash out on the 12th April 2019 or see further uncertainty due to a General Election. UK markets appear to be ignoring the risk of a General Election and the possibility of a Labour government led by a hard left cabinet under Jeremy Corbyn that would lift corporation tax. This demonstrative decoupling of UK blue chips from the UK economy/ outlook is to some extent to be expected given the composition of the index and its population of global multi-nationals. For many, the UK’s stumbles and upheavals are of little short term relevance to profits. M&A activity has been strong in the mid-caps with both Inmarsat and RDI REIT receiving takeover approaches. Even perennial acquirer, Mike Ashley made a 5p per share offer for Debenhams (lasting one day). Takeover rumours abound about approaches for Convatec. A political clampdown in China ahead of the 30th anniversary of the Tiananmen Square seems underway after President Xi gave a speech warning officials against “erroneous thoughts”. The move comes as international criticism grows on the issue of China’s detention of Uighur Muslims in camps. 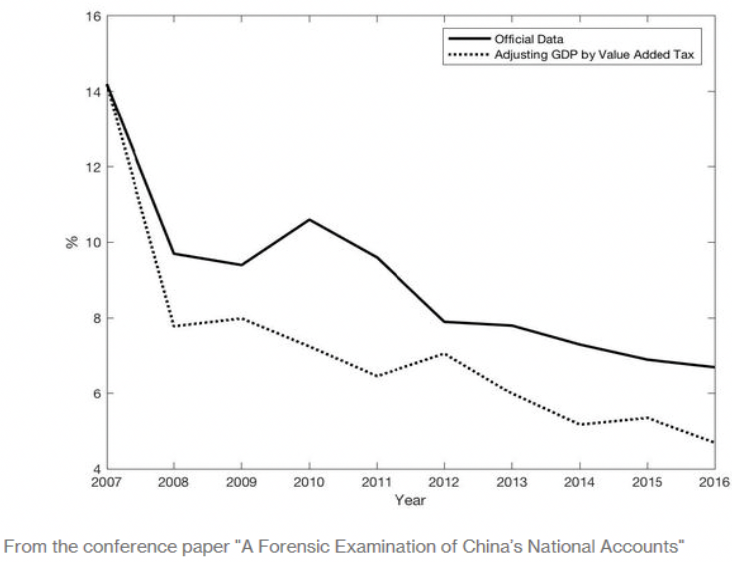 A recent study by the Chinese University of Hong Kong and the University of Chicago claimed China over-reported its GDP growth rate by an average of 1.7% per annum from 2008 to 2016. This was due to local officials over-estimating local statistics to enhance their promotion prospects. Auto makers have flagged a tougher 2019. BMW Q3 – its PBT declined 26.3% to €1.84bn dragged down by a large decline in its automotive EBIT margin to 4.4% from 8.6%. EPS fell to €2.09 down 24.3% clearly missing estimates. On the flip side Porsche AG hiked its dividend by 26% reporting €3.5bn group profit for 2018 up 6%. For 2019 it expects group profit of €3.4bn to €4.4bn. Porsche invested over €400m in Volkswagen shares over 2018 as well as further electrification related investments. 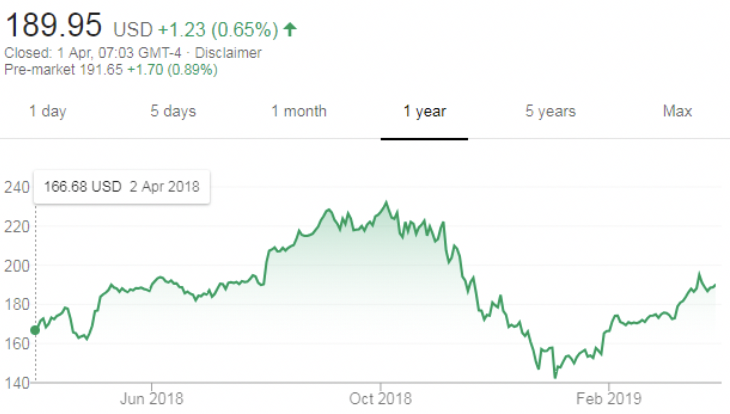 Shares in Bayer AG fell from €70.55 to €57.40 over March due to escalating US claims against its weedkiller product “Roundup” that plaintiffs have proved contains glyphosate which is carcinogenic. There are some 11,200 “Roundup” related lawsuits going to trial in the USA. The unquantifiable nature of legal liabilities has undermined confidence in Bayer AG. The European Commission has said it has completed its “no deal” preparations and warned it is increasingly likely the UK will crash out. Whilst President Trump wants a quick deal in the Sino-US talks, he pointed out that US/ EU trade negotiations are “very tough”. He renewed threats to impose US tariffs on EU auto imports in the event of a “no deal”. Excitement over Apple Inc’s press conference on the 25th March reached fever pitch with the shares rising from $172 to $195 ahead of the showcasing event that discussed an Apple credit card, i-News subscription services and a streaming video offer. Apple’s recovery from lows of $142 is based on the conviction that the company will significantly boost service revenues over 2019 and 2020.